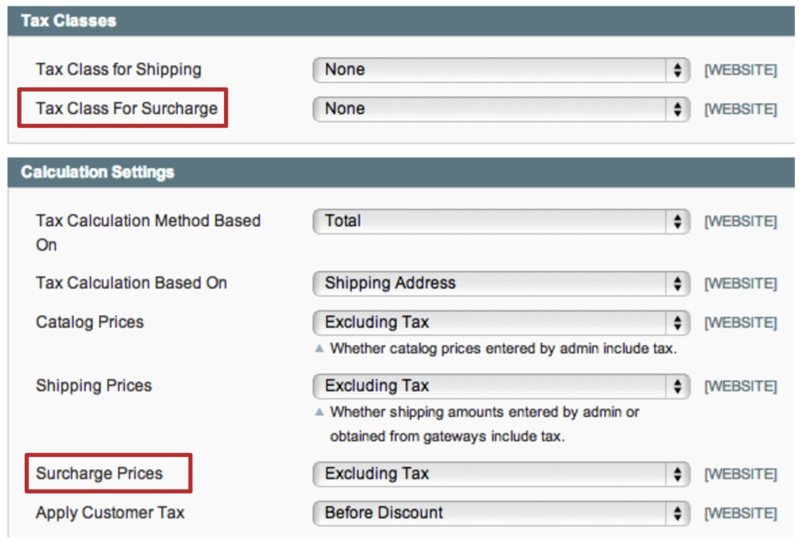 If you want to apply tax to surcharges, you need to configure this under System > Configuration > Tax before configuring the main Fooman Surcharge settings. If you do not want to apply tax to surcharges, you don't need to do anything. Set whether the surcharge amounts entered during set up should include or exclude tax. 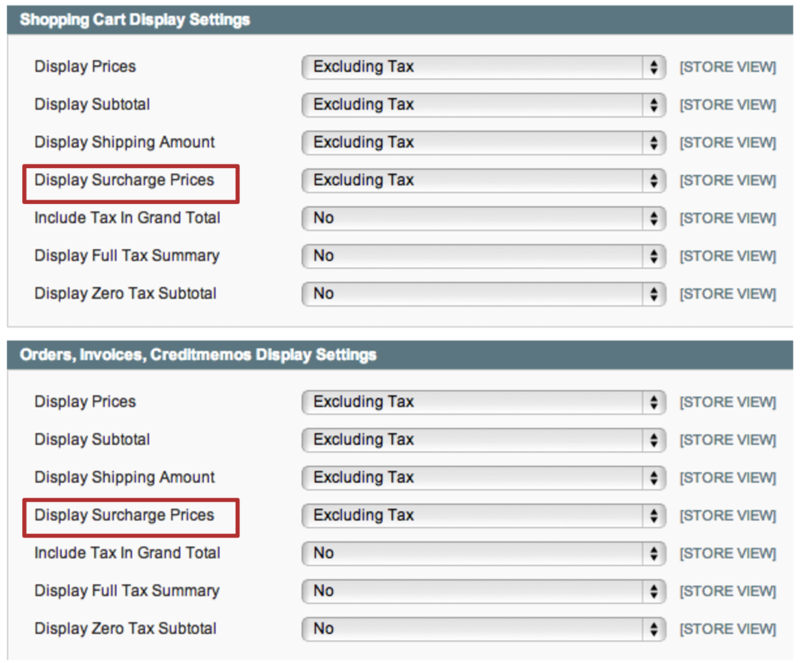 This setting only has effect when “Tax Class for Surcharge” (above) is applied.